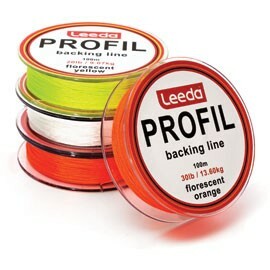 Leeda Profil fly backing line is compatible with all fly reels with a breaking strain of either 20lbs or 30lbs. The backing line is supplied on 100 mtr spool for easy loading on to your fly reel. Made using a special weave process which produces a soft and ultra-supple backing line, giving great knot strength and slim overall profile.